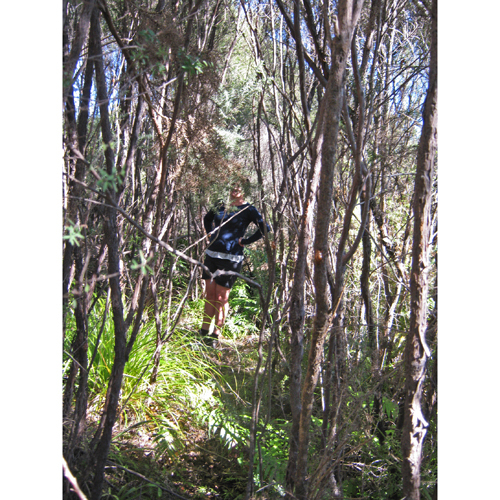 A red deer trail is a narrow cleared path through vegetation. The ground is often firmly compacted and might show footprints. The height at which vegetation overhangs a trail can indicate which species used the trail. Red deer are one of the taller species of deer, so the vegetation will be clear to nearly human head height.